What do I do with unused and expired medicines? 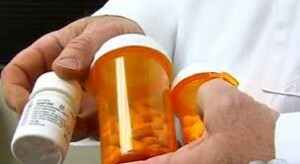 Safe methods of disposal are needed for expired or unwanted medicines. Products of concern include prescription and over-the-counter medications. Improper disposal of medicines presents both a public safety and environmental hazard and wastes millions of health care dollars annually. Illegal use or theft, including identity theft, from discarded containers providing personal patient information. Take medications to the drop off site and drop off. It is recommended that you contact the drop off facility to ensure availability and for any other instructions. Sharps, needles, IV bags, or thermometers. Clearly label container “SHARPS, DO NOT RECYCLE” with a bold marker.